If you are trying to sell a property, then simply listing the home is not enough to help it quickly sell. Once the listing goes live, then there are a few things that you can do to market the property to potential buyers. Spreading the word about your property will make it more likely that you will come in contact with a buyer who is looking for a property like yours, resulting in a faster turnaround time. A good quality real estate flyer is a great way to spread the word, because you can effectively highlight the benefits of the property in a concise handout. The design or layout of the real estate feature sheet won't matter if you don't have good photos to place on the sheet. The house needs to be documented by a high quality photographer who has the experience to understand what it takes to make the house look good. The photographer can take pictures of the outside and inside of the house, and include details such as the main rooms, landscaping, unique design features or anything else that might make the property stand out. The photos aren't just a display of how the house looks, they are a way to tell a story about the home and make it memorable to the potential buyers. Good quality photos help you to sell the property, because they make the house more attractive by showcasing the home. There is a big difference between amateur and professional photos, and professional photos are a must if you want to quickly sell the property. In addition to the photos, quality captions help to share the details of each photo and can provide more information about the benefits of each individual section of the house. Captions can describe the upgrades in each photo, and they share information that is vital to the home. It is a good idea to have a professional help with captions, because many people don't have the marketing experience to understand how to write good captions. For example, sometimes home sellers get excited and they include too many exclamation points when describing each room. Or, they don't know how to write engaging captions so they settle for short descriptions. Spacious kitchen with a granite counter tops, stainless steel appliances, hardwood floors, and plenty of cupboard space. Looking at these three examples, which one sounds more appealing to you? The captions on the real estate feature sheet can make a big difference in the way potential buyers view your property. 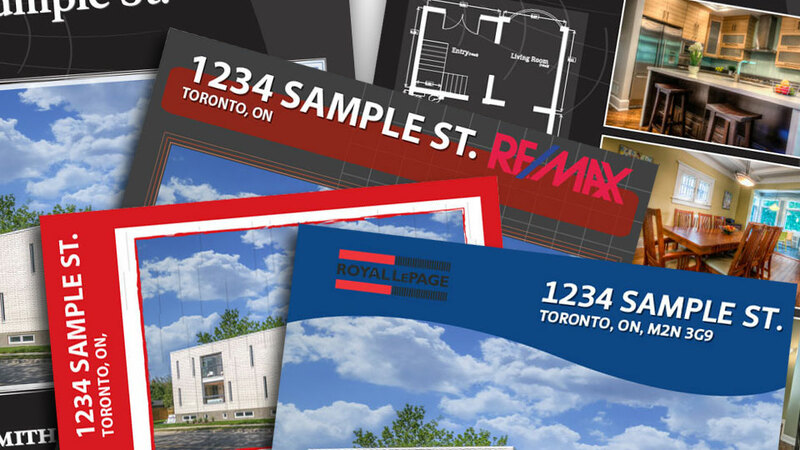 It is worth it to spend a little extra money on the real estate flyer printing, because you want the paper to be easily noticed after the potential buyer takes it home. If the flyer is printed on boring, flimsy white paper, then it is likely that the flyer will get lost in the shuffle of the many papers that collect on the desk or counter at the person's home. But, if the flyer is printed on nice, thick, glossy paper, then the paper will stand out. Hiring a professional to design and print your real estate feature sheet is an important step to sell your home quickly and easily. If you don't have the experience to take quality photos, design them into a nice flyer, and print them on quality paper, then it could potentially hurt the way potential buyers will view your home. A poor quality real estate feature sheet can have a negative impact on the perception of the home that you are selling, resulting in potential buyers moving on to continue looking at other properties. On the other hand, a nicely designed feature sheet can create a quality, professional brand for your property, attracting more buyers who are interested in the benefits that the property can offer.